Tavius E. on the left. Rai Aren on the right. Rai loves the stories of Lord of the Rings, Star Wars, Star Trek, Indiana Jones (her first kitty cat is named Indiana, Indy for short), and The Matrix (take the red pill! ), to name a few. She loves getting lost in these enchanting worlds and studying their underlying philosophies. Ancient Egypt has held a particular fascination for her since childhood. She feels right at home surrounded by Egyptian art and books. Tavius E. (pen name) enjoys movies such as The Lord of the Rings and The Star Wars trilogies, which have ignited his imagination. Authors such as David Eddings and Dan Brown have inspired him to write. 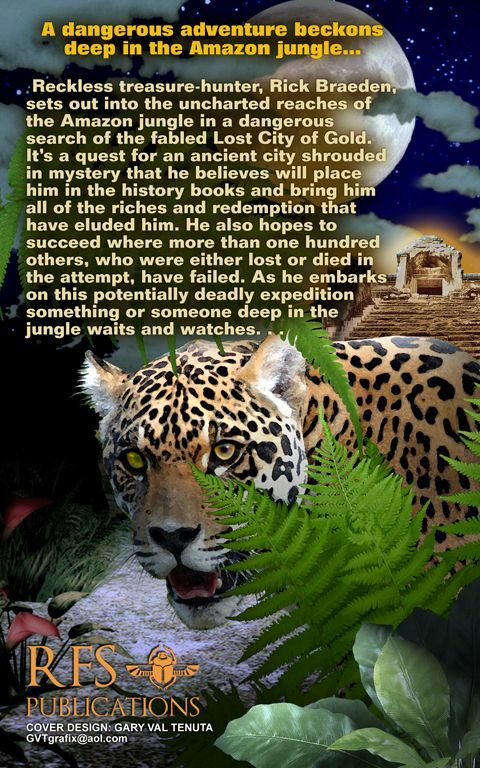 He enjoys learning about ancient Egypt and archaeology. He sometimes looks up at the stars in the skies and wonder about all the amazing stories that have never been told. As a result, he and his college friend, Rai Aren, are pursuing their shared interests of being successful storytellers. • Great bargain! 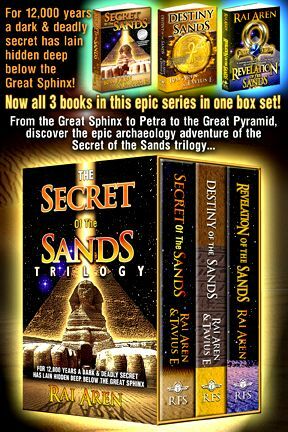 - The Secret of the Sands Trilogy ebook box set - get all 3 archaeology adventure novels for one low, discounted price! 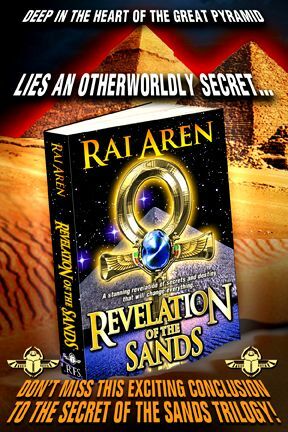 Find The Secret of the Sands Trilogy ebook edition on your favorite retail site! • Visit Rai's Amazon author page - Click on the "Follow" button under the author photo to stay connected for all the latest news! •Connect with Rai Aren on Facebook! - Get updates on the books, new releases, and more! When we started writing this mystery novel, we knew at a very high level, a conceptual level, what we wanted to do. We put those ideas down on paper, and the story started to come to life before our eyes. Characters once created & named, seemed to come to life with personalities of their own. As I think is quite common for authors, we wrote tons more than actually made it into the final story. The story itself is a journey of discovery, of discovering our own individual power, and ability to make a difference in the world. It speaks to the power of friendship and love, and the price of betrayal and the lust for power and control. It is a story about how our character and what we do in this life matters. It matters a lot, and in ways we don’t even know yet and can’t always predict. Most importantly it is a lesson in how we are all one, and that we are not separate from one another. We should accept and build upon one another’s strengths and differences, because that is truly how we grow stronger. The story started as a mix of characters, plots and subplots. After much refinement and discussions, we were able to establish a central story. Why do you want to write an adventure novel about Ancient Egypt? Every since learning about Ancient Egypt in elementary school, we have held a fascination with that part of the world. Ancient Egypt is one of the oldest known civilizations. It holds so much mystery, intrigue and wonder. You both have busy lives, why do you choose to write novels, too? Well, it’s certainly not because we have nothing else to do, that’s for sure! We talked for about a year about how much we loved this kind of storytelling, movies, and how we really wanted to pursue something bigger in our lives, something that will outlast us. For me, reading a really great book or watching a great movie is such a wonderful experience. It’s an escape, but I find it also elevates me out of the everyday ordinary. I also very much wanted to create something that would give others that experience, that escape and adventure, to give back creatively. Plus, writing these stories is a deeply meaningful experience for me, I see it as an act of creation, and what is created means something not only to me, as the writer, but to the readers who enjoy getting lost in the pages. It's very, very special to me. We enjoy writing. It allows us to create new worlds and share them with everyone. Writing is definitely our passion. What are you trying to accomplish with your writing careers? I’ve never enjoyed, been so passionate about, anything in my life. I hope to have very long – lifelong in fact, career as an author. I have so many tales to tell, so many journeys to take & explore. 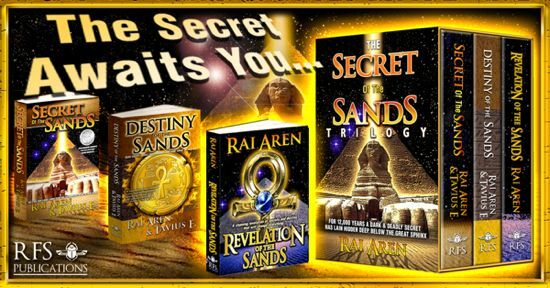 In addition, I always envisioned the Secret of the Sands trilogy as movies – like Indiana Jones meets The Mummy – films I love and watch again & again. And ultimately I write stories that I'd love to read. 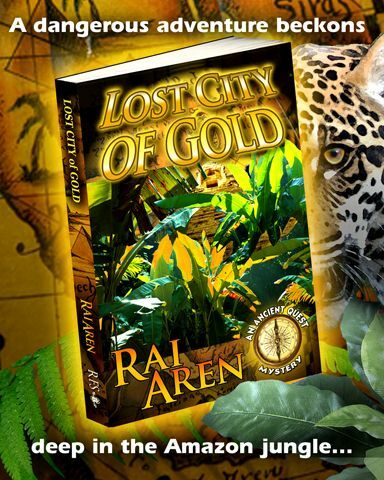 Lost City of Gold is also my first shorter work (it's just over 25,000 words long), and it was a ton of fun to write! It was also inspired by true events. I'll be writing more stories centered around some of the ancient mysteries of our world. There's a lot of fascinating places I look forward to exploring with this series. The next story is already underway :) Stay tuned! When we were writing and developing our story, we always envisioned that it would make a great movie. We think it has all the elements to be on the big screen. We hope someday it would be made into a movie. Which characters are your favorites to write? I like to write the bad guys!! And the funny ones. I like writing the heroic characters.